Wine quality and weather—a new study explains the connection. How’s this for an excuse to drink? The hotter weather brought by climate change means France’s wine quality will be going up, at least if the historical data analyzed by a recent study is to be believed. One of the issues in climate science is that data has only been available for a relatively short time. You cannot, for instance, find enough information to say that the climate from the 1700’s was the same or different from the climate in the 1800’s. The reason this matters is that not properly understanding trends from the past make understanding the severity of future changes more difficult. Researchers from Harvard University and NASA’s Goddard Institute for Space Studies have managed to find a novel way to get some of the necessary information and even give wine lovers a few things to look forward to. 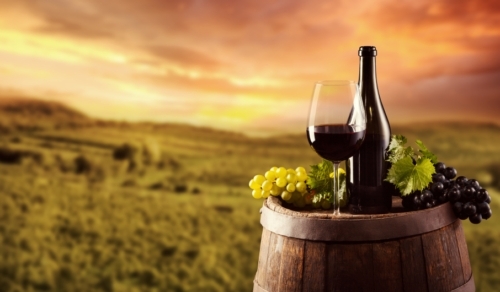 France has a long history of wine making and records exist that go back as far as the 1300’s. Wine grapes are known to be sensitive to temperature changes and this can influence how early or late a harvest falls. By examining historical records, the researchers were able to get a glimpse at how things have been heating up at the vineyards. With several centuries’ worth of data available, certain trends became apparent during the early history of Europe. Up until around 1980, it took a combined heat wave and drought to induce an early harvest. This was because although high heat can help ripening grapes develop various sugars, acids, and tannins, these temperatures could be offset by summer rains unless there was a drought. From 1980 onward, however, early harvests became more possible without an accompanying drought. The researchers interpret this to mean that human-caused global warming increased to the point where summer rains were no longer enough to offset the excess heat. The way all of this leads to better French wine is simple. Early harvests have historically been associated with better quality wine. If those early harvests get more frequent thanks to warmer weather, high quality years will become more common. The caveat is that there seems to be a limit to how well this trend can go. The 2003 growing season resulted in one of France’s earliest harvests on record but the resulting wine was considered average at best, suggesting wine grapes can only take so much. While climate change is an important challenge to address, that doesn’t mean it has to be all doom and gloom. Take a breath, pour a glass of France’s finest, and enjoy. Bland, A., An Upside to Climate Change? Better French Wine, NPR web site, last updated March 21, 2016; http://www.npr.org/sections/thesalt/2016/03/21/470872883/an-upside-to-climate-change-better-Nature Climate Changefrench-wine, last accessed March 24, 2016. Cook, B., et al., Climate change decouples drought from early wine grape harvests in France, Nature Climate Change, 2016; doi: 10.1038/nclimate2960.